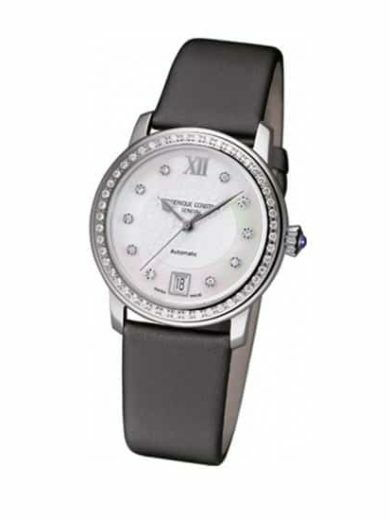 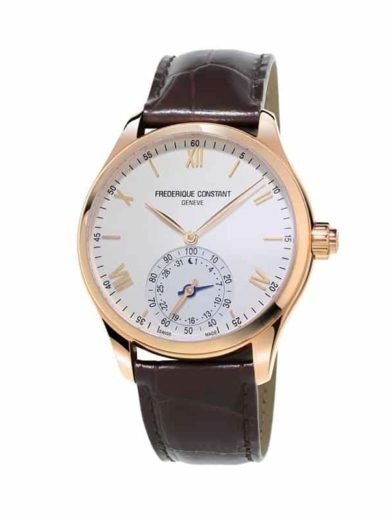 Frédérique Constant watches are defined by their high quality, differentiation and precision in design and manufacture. 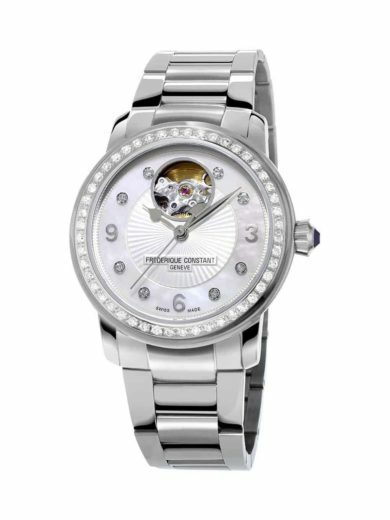 We have a passion for design of our beautiful watches. 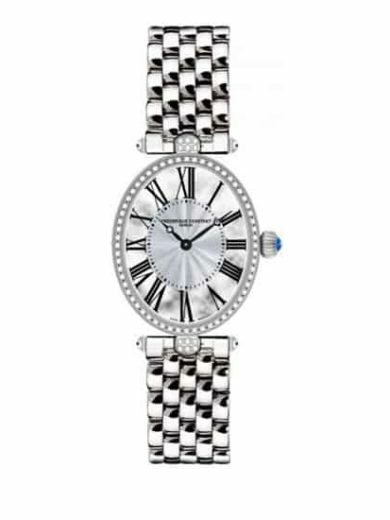 Their perceived value — through quality of design, materials, and manufacture — is a key component of our success. 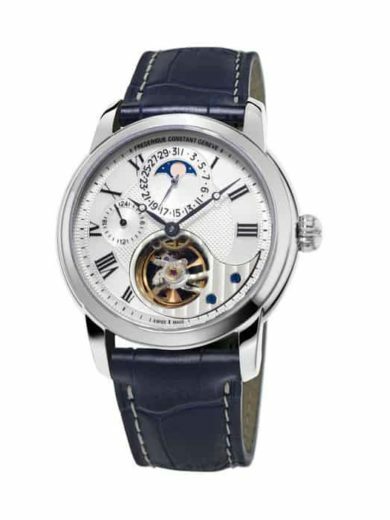 Each of our watches is assembled by hand and extensively controlled with latest equipment to ensure maximum quality. 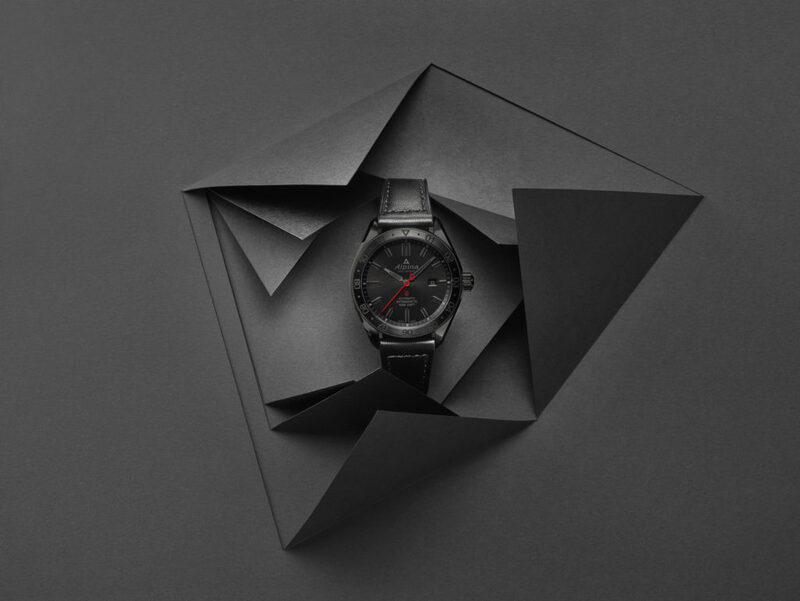 Our factory in Plan-les-Ouates Geneva is ultra modern and offers the best environment for our passionate watchmakers. 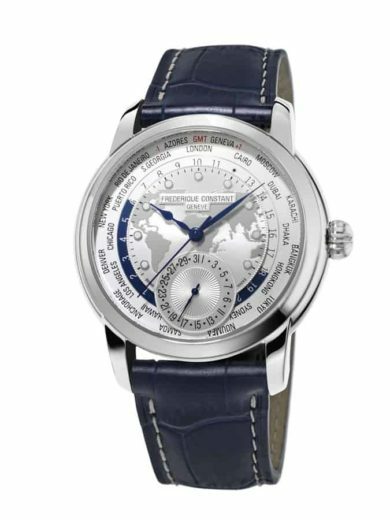 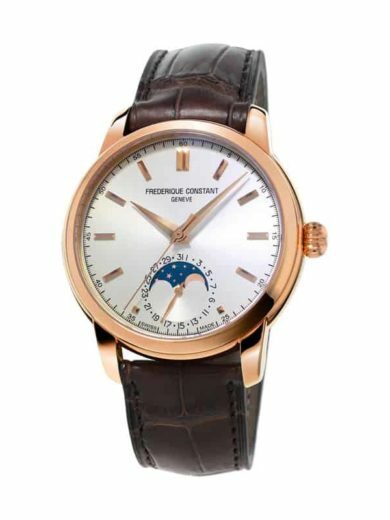 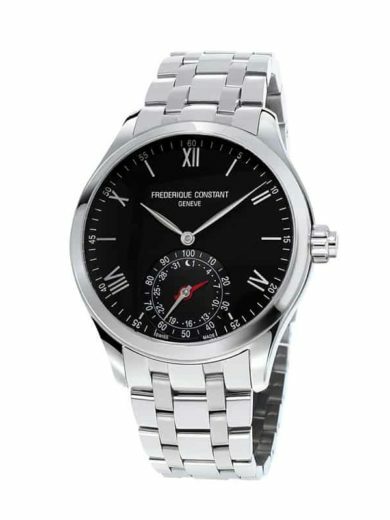 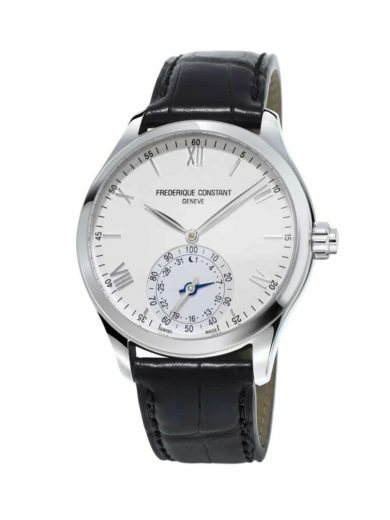 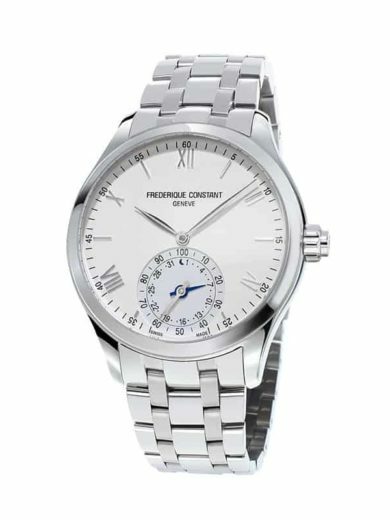 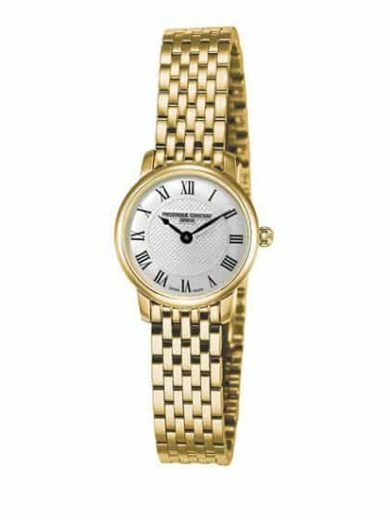 Our philosophy is not to restrict the interest in Frederique Constant Geneve timepieces just to connoisseurs, but deliberately also to reach a broader selection of appreciative enthusiasts who want to enjoy high quality and timeless yet classical watches at sensible prices. 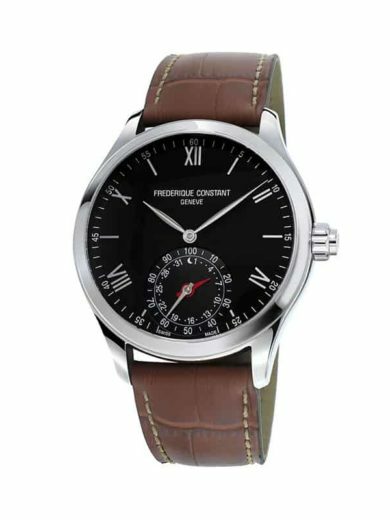 These Swiss Horological Smartwatches have bi-directional communication with iPhone and Android Apps. 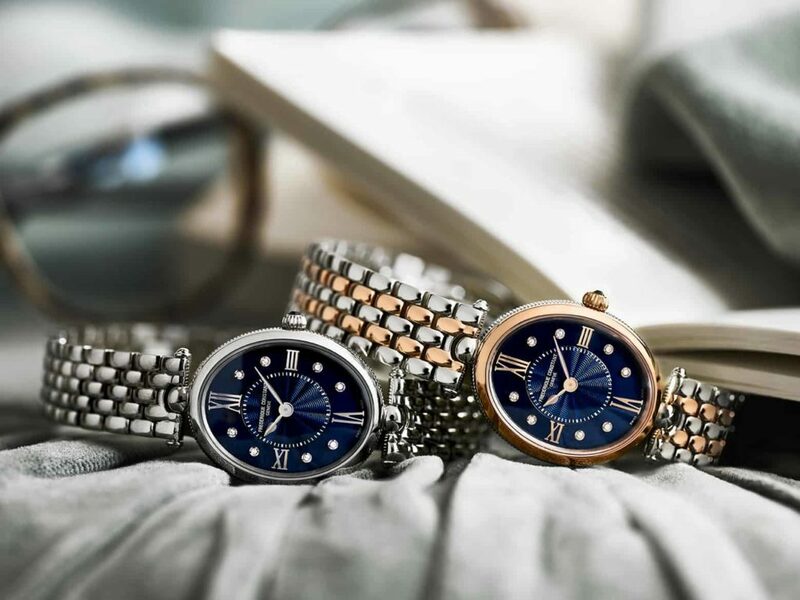 The Swiss Horological Smartwatch is the synthesis of High-Tech Innovation and Traditional Swisswatch craftsmanship; the link between Modern and Classic; the bridge between Silicon Valley and Switzerland. 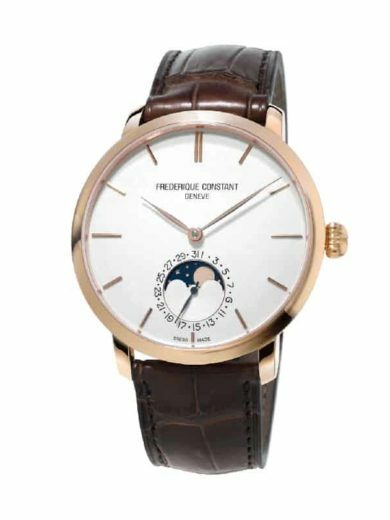 This year, Frederique Constant introduces the new Classics Manufacture. 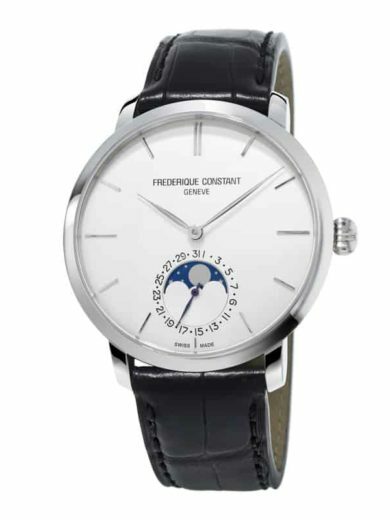 Designed and produced with utmost care, the sophisticated dial shows a remarkable refinement. 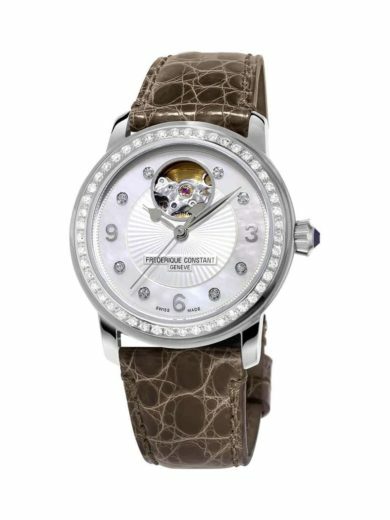 Decoration of the movement is to the highest standards, with Côtes de Genève and Collimaçon patterns, brightly shining due to the rhodium finishing.